How to Prep for NaNoWriMo — SHAI COTTEN | Write. Film. Create. So some of you may be new to NaNo, in which case, YAY! I am so excited for you. Writing a book for NaNo can be such a rush, especially if you’re doing it with a group! It can also be a little daunting, especially when writing a book is always going to have to compete with work, school, and a social life. And, you know, sleep. But that’s what October is for! ‘Tis the month for pumpkins, spoopy skelingtons, and NaNoWriMo prep! 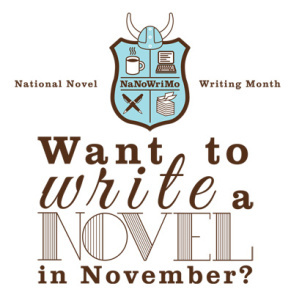 The work you put into your novel the month before November is largely what determines the smoothness of writing during NaNo. So buckle up! We’ve got some prep to do. Firstly, we must sort you. This is a little bit like Hogwarts now. It’s time to put you in your houses. Are you more organized and analytical? Do you like to outline and plot things out ahead? Then you my friend may belong to the noble Planners! Or perhaps you are a fan of improv, preferring to wing it, a.k.a. fly by the seat of your pants? You’re probably a Pantser! Unable to commit? A bit wishy-washy? No worries, friend, there’s a place for you amongst the numerous Plantsers! Story comes from character, so don’t go into your novel this NaNoWriMo without any idea who your characters are. If you're a Pantser, you might enjoy throwing a new character into the mix every then and again, but know your primary characters from the get-go. You don’t have to write out their entire biography before you’ve begun. I would suggest mapping out five things for each of your mains: goal, background, appearance, vice, and virtue. If your main character doesn’t have a goal, your novel is gonna spin on its own axis, directionless. Get an idea of what your character wants most, and keep in mind that this can change multiple times throughout the story. This might also be motivated by their background, which is why you should jot down a sentence or two regarding their family background, where they grew up, what their current occupation is, etc. Lastly, I find it infinitely helpful to know at least one vice and virtue that my character exhibits. I draw from this huge master list on Writeworld. This keeps characters consistent. It’s the backbone of how your character will react in any given situation. Someone who’s depressive will react different to bad news than someone who is irritable, after all. P.S., if you’re stuck on character or even town names, do not fret! This handy-dandy generator from Mithril and Mages is the perfect solution to your woes. You don’t need an outline. Though some writers will go so far as to map out their entire story in scene cards, for others, the prospect of laying their novel out moment by moment can seem terrifying. But do know what you’re working towards. Before November strikes, know these two fundamental things: how your story begins, and how it ends. A neat little tip: it’s easier to jump into your story if you start in the middle of the action. I.e., open up your scene with your character already locked into a fistfight, not when they’re walking into the room, or even when they’re eying up some unsavory fellow across the bar. On the other hand, knowing your character’s goal is going to help you find your perfect ending. In addition, get some ideas for scenes that you really want to happen. You don’t need to know precisely when these scenes are going to happen, but having a few pre-planned moments gives you something to work towards. For example, I personally love writing fight scenes, and knowing that there’s one coming up will not only make me excited to write, but encourages me to puzzle out ways to get my character to that moment in time. Cheer up, buttercup, planning a novel doesn’t have to be a chore. There are tons of fun things to do when you’re feeling stuck in plotting. Try making a themed playlist on Spotify or iTunes for your book! Not only will this be great for listening during your future writing sessions, music is great inspiration! It puts your head in a different space, and I’ve often learned to look at my characters from new angles by finding song “themes” which fit them. If you’re big into Pinterest (like I am) you might try making a themed board where you keep reference photos of your characters or a backup of writing prompts for when the well runs dry. It also never hurts to check out some books similar to your own. Much as we’d like to think we’re entirely original, chances are someone has covered your material before. Building up a list of books or even movies and TV shows with the same tone, genre, or premise as your book will be immeasurably helpful to you down the road. If you’re writing about anything grounded in the “real world” (i.e., science fiction, crime fiction, etc.) watching docs on your subject can be a great resource. And that’s it! Have you got any questions? Anything else you feel I should have covered? Please let me know, and Happy NaNoing!